The book also mentions his firm conviction that apart from one's mother's milk that one drinks as a child, people did not need to include milk in their daily diet. 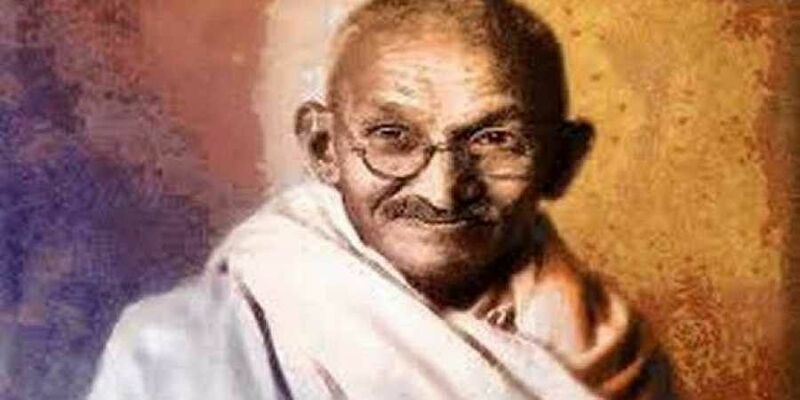 NEW DELHI: Mahatma Gandhi firmly followed a vegetarian diet and went for exercise in open as he believed that exercise was as necessary for mind and body as food was for mind, bones and flesh, a book has revealed. These and many other facets related to his health -- ranging from diet charts to the ailments he suffered from -- form a part of the book, titled 'Gandhi & Health @150', published by the Indian Council of Medical Research to commemorate the 150th birth anniversary of the Father of the Nation. Gandhi's experiments with food, long fasts and hesitation to take medical aid deteriorated his health condition at some occasions and he felt that "he was at death's door", claims the book, which puts together the Mahatma's private health records, preserved in the National Gandhi Museum here. During various phases of his life, Gandhi suffered from several ailments including constipation, malaria and pleurisy, according to the ICMR "collector's edition", which details his medical legacy, health profile and his experiments on health, based on articles published and available health records. Gandhi suffered from malaria on three occasions -- 1925, 1936 and 1944 -- and also pleurisy, a condition in which there is inflammation of the lung lining when he was in London. He was operated for piles in 1919 and for appendicitis in 1924, according to the book. It was launched in Dharamshala by the Dalai Lama on March 20. As a student in London, Gandhiji used to walk for about eight miles every day in the evening and then again for 30-40 minutes before going to bed. "The good health he enjoyed was mostly attributed to his vegetarian diet and exercise in open air," the book records. Gandhi weighed 46.7 kilograms and had a body-mass index of 17.1 at the age of 70, which the health experts termed as being "underweight". Under the section 'Near Death's Door', the book describes Gandhi's experiments with food, observing long fasts and refraining from taking medical aid which deteriorated his health condition and he felt "he was at death's door". In the latter part of his life, Gandhi suffered from high blood pressure and as per his health file of 1924-47, his blood pressure reading were as high as 194/130 and 220/110 (on October 26, 1937 and Feb 19, 1940). His ECG records of 1939 indicated slight myocardosis and an indication of cardio-vascular degeneration though there was no evidence of coronary insufficiency. He vowed not to drink cow or buffalo milk that highlights his trust on household remedies and nathuropathy, the book says. The book also highlights ICMR's contributions in areas relevant to Gandhian principles, such as importance of hygiene and sanitation (relevant to diseases like cholera, malaria, TB and leprosy), living a disciplined life and the role of physical fitness with meditation, ICMR Director General Dr Balram Bhargava said. "Mahatma Gandhi had spearheaded many revolutions in our country and ICMR has embodied his values and principles in its health research to improve the health and well-being of the country," Bhargava said. The edition also illustrates how the ICMR has focused its research on areas that Gandhi was passionate about the environment, lifestyle diseases and social behaviour. Releasing the edition in Dharamshala, the Dalai Lama said, "Mahatma Gandhi was a man with extraordinary qualities. His motivation to solve the problems of society and steer the freedom movement through the path of truth and non-violence is inspired by his physical and emotional well being. "Honouring Gandhiji's philosophy on health will not only inform the present society on improving the well-being of people but will also help them imbibe a lifestyle that is disciplined and rewarding." At the symposium, Dr VK Paul, Member, NITI Aayog quoted Gandhi from his book. Paul said Gandhi's principles of nutritious food being the key to good health form the ethos of the research and work undertaken by both ICMR and NITI Aayog in nutrition. Regional Director, WHO South-East Asia, Dr Poonam Khetrapal Singh said that Mahatma Gandhi played a transformative role in taking the message of preventive and promotive health to the masses. Dr K Vijay Raghavan, Principal Scientific Adviser to the Government of India, said the book will create a positive impact in the lives of all those who read it. "In our endeavour to evolve policies, strategies and missions for the development of the nation, the principles and teachings of the father of the nation, Mahatma Gandhi should become the guiding light," he said.